Disclosure: This is a sponsored post in partnership with Setu; all opinions expressed are my own. When I looked over the session options at this year's W.E.L.L. Summit, morning yoga with Jessamyn Stanley jumped out at me. I've tried yoga a handful of times, but have always found that my mind wanders, and it's a bit intimidating as I'm not flexible. Like Not. At. All. So what made me sign up anyway? I know the type of community that WELL Summit fosters, and I knew that this session would be accessible to me. The room was packed and I settled in sipping on my water. Jessamyn's direct yet non-intimidating guidance put me at ease and when the class ended I was thankful that I took the leap and attended the class, but at the same time it made me think about what other things I'm holding back on out of fear. This was still on my mind when I met Libby Nicholaou, founder of Setu, an inclusive online yoga community. What inspired you to start Setu? 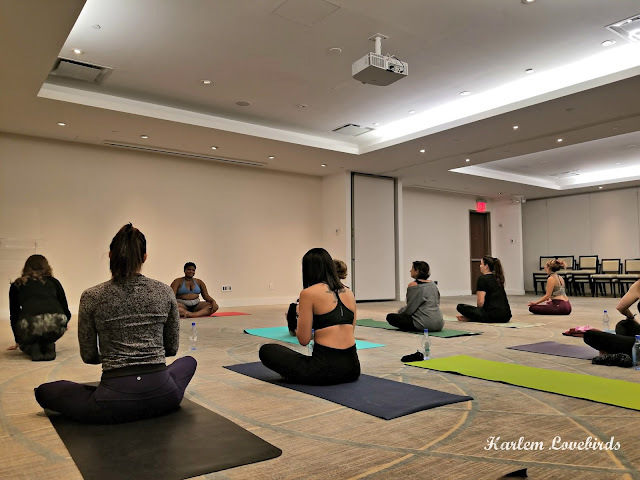 After completing my 200 hour yoga teacher training, I realized how valuable yoga is for people across all ages, body types, and life experiences.Yoga teacher training taught me so much about myself and my community in ways I didn’t expect. Ultimately, the issues of diversity and the social impact of yoga stuck with me. I wondered what I could do to create greater visibility around the richness of the yoga community. I felt the least eligible to act on this but, with enough encouragement and critical feedback from others, I decided to create a way to support inclusivity with Setu. 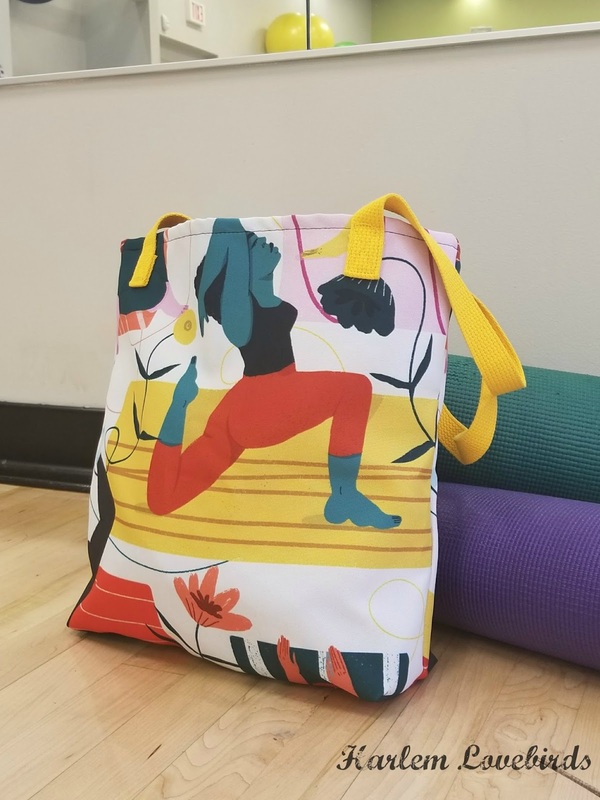 What's your own yoga journey been like? I've been practicing yoga for 8 years and am in love with it. In my earlier years, I dealt with an unhealthy food relationship and body image, which resulted in anxiety. I played a lot of sports growing up and that added to the anxiety. When I found yoga, I learned how to love my body and be thoughtful with the ways I take care of it. Through my 200 hour training with Three Sisters Yoga, I realized yoga holds this potential for many people. Today I’m grateful to bring yoga to others through teaching (and Setu!). My mentor teachers are Janet Stone, Mark Morford and Cat Acquaviva. How can members make the most out of Setu this season? 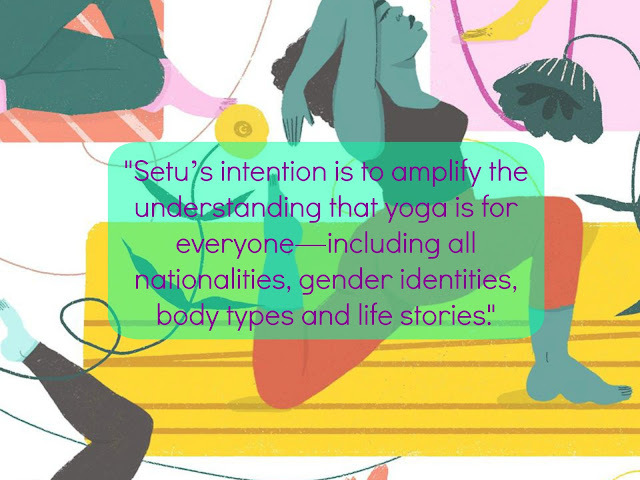 Setu's website fosters community, and its inclusive mission is reflected in its body-positive imagery. Isn't it beautiful? 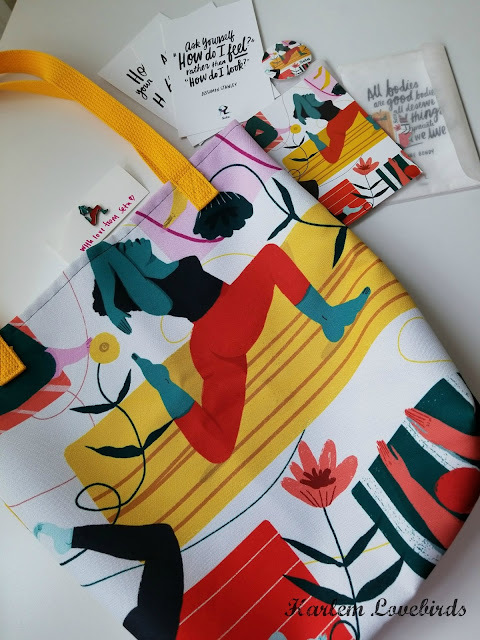 I've been taking my tote out and about town this week, and it's definitely a conversation starter. Setu's generously sponsored a holiday giveaway for one reader so they can receive a gift pack! Good luck and best wishes for a happy and healthy holiday season!